3A Toys - Mongrol 2000AD, originally uploaded by hellovinyl. The Mongrol and the Mess 2000AD figures will be about 12 inches high and something like 14 inches wide. We've placed out order for these figures now so please email us if you want one, as we'll be buying in limited quantities. They will be $250 each and will ship to us in June 2011. This time around our payment plan will be simple: a non-refundable payment of one third of your total due at the time of your order (for US customers, this will be $83.33). The rest of the payment will be due when ThreeA asks us for our payment just before shipping. 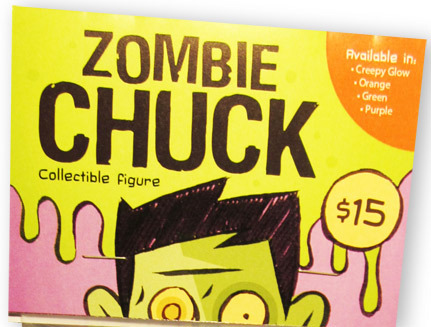 OK, yes, it's sorta silly to show you a "teaser" image of a figure we've already fully revealed... but here's the teaser of the header tag of our upcoming Tenacious Toys Exclusive blue Zombie Chuck figure by Brian Fyffe. Our shipment will arrive in a matter of days and we'll have these up for sale for $15 each in our Exclusives section soon! This collection of figures represents the haunting souls of past Asian arts. The simple folds of an intricate origami. 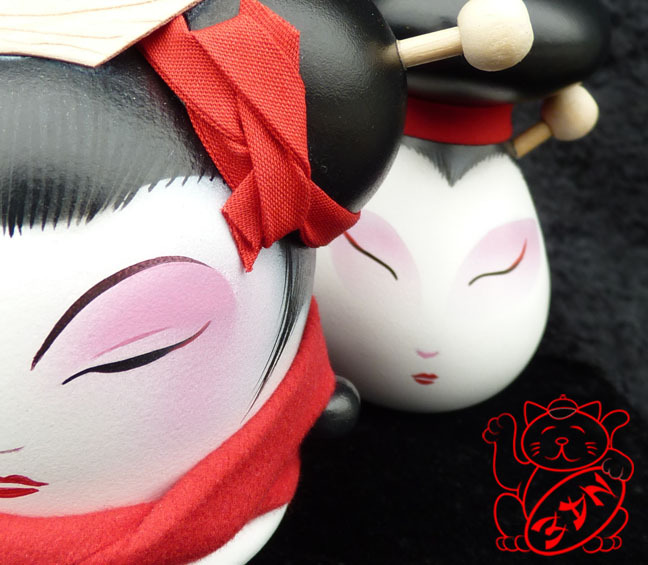 The well polished allure of a geisha. The calculated swiftness of a samurai sword. 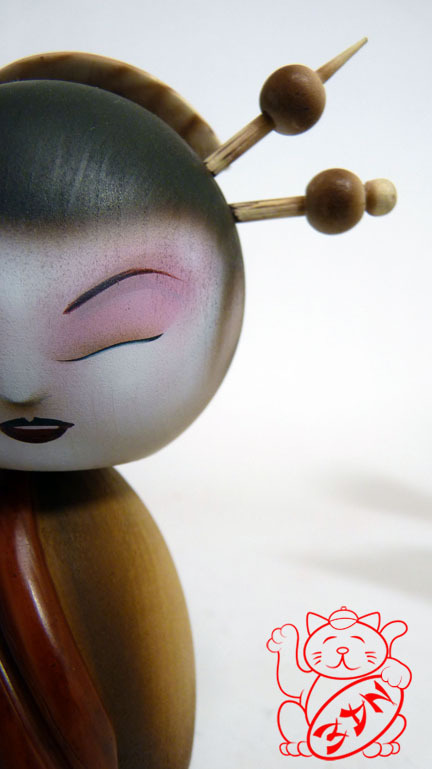 The simple beauty of a hand-crafted kokeshi. But eventually all meet their demise. Zam is the owner/operator of Genuine Artikle, a lifestyle boutique in Lake Ronkonkoma, LI, NY. 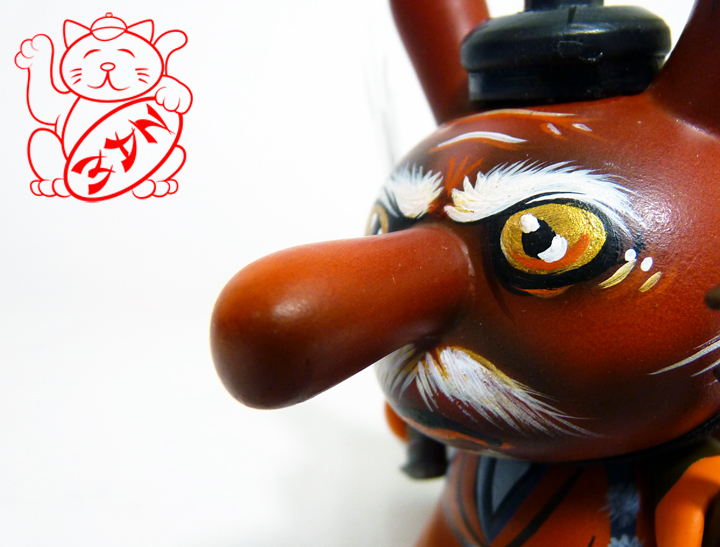 In addition to operating GA, Zam is an accomplished tattoo artist, a toy customizer and a personal friend of ours. When Worlds Collide is a group show curated by f+ (Josh Pearce). The show includes pieces by some of our very favorite artists: Zam, DrilOne, Josh Pearce, Map Map, Nerviswr3k, Chauskoskis and Kevin Gosselin. The show opens Feb 24 at Screaming Sky Gallery in Portalnd, OR.